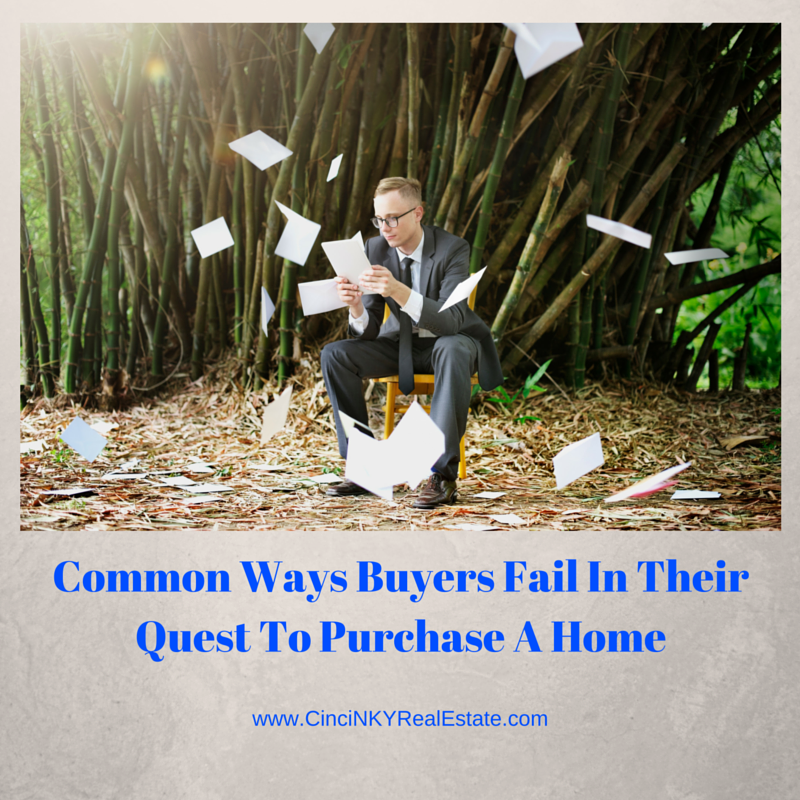 While home buying can be an exciting time, for some it can quickly turn into a nightmare filled with frustration, regret and remorse if not done correctly. The process of buying a home has many complexities and buying a home is definitely not as easy as buying a car where you can walk in, test drive a car and drive off with it that same day. Due to the amounts of money, emotions, and the long term commitment involved the home buying process needs to be approached with a full understanding of what can cause the process to go wrong. Shopping for a home above your price range is a definite path towards failure. A home purchase is a long term commitment. Even though you may have been pre-approved for a certain amount, attempting to buy at the top of your limit without considering how your budget and long term finances will be impacted by the monthly mortgage, interest, tax and insurance payments could set you up towards getting into a house poor situation. On the other hand if you are looking for homes without even having applied for a pre-approval then you have no idea what your price range is. You may fall in love with that $300,000.00 home in the perfect neighborhood but when it comes time to financing you find your pre-approval will not cover purchasing that home results in a big waste of time. 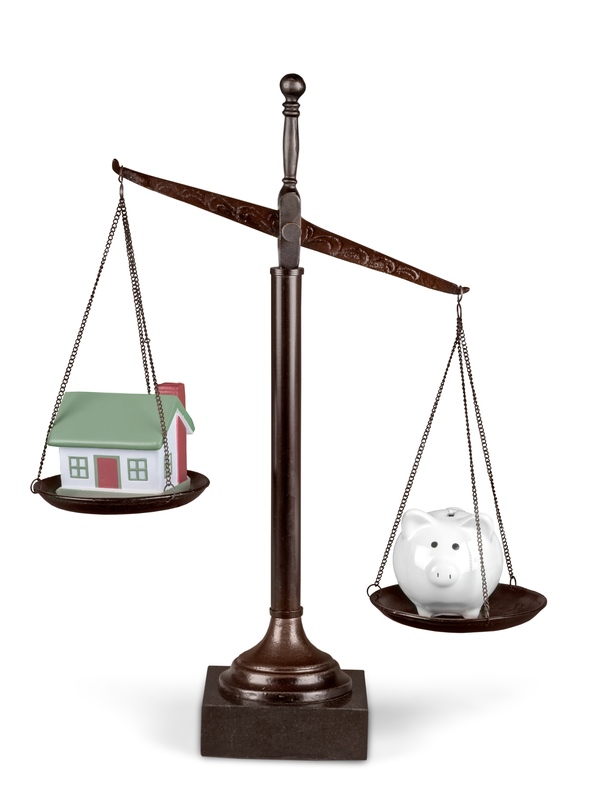 Know your price range ahead of time so that your home purchase is successful from the start. Probably one of the biggest mistakes home buyers can make is to not get a mortgage pre-approval that shows them how much home they can afford to buy. The process for applying for a mortgage pre-approval is not an overly complicated process. A mortgage lending officer will look at your credit report and verify your income and debts based on tax forms, pay stubs and more to verify your buying power. By starting the pre-approval process before you start looking at homes you know right away how much home you can afford. When you do find a home you want to make an offer on your mortgage lending officer can provide you with a mortgage pre-approval letter that lets the seller know you can afford to purchase the home you are interested in. The pre-approval letter will put your offer ahead of other buyers that don’t have a pre-approval letter. 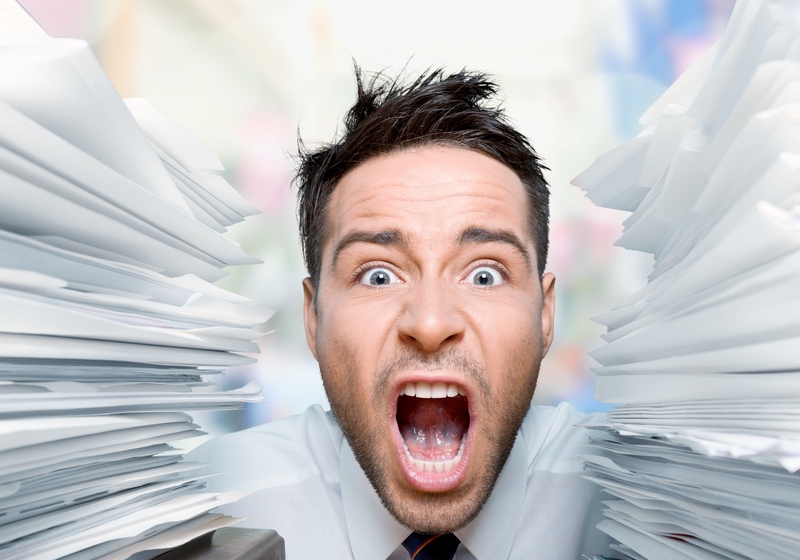 Pre-approval letters and pre-qualification letters are not the same thing. Pre-qualification letters are sent regularly in the mail with the same amount of frequency as are offers for credit cards. You can get pre-approved based on an offer from a pre-qualification letter but you won’t know the amounts you are pre-approved for unless you go through the full process. When it comes to buying a home the neighborhood is an important consideration to look at. You may find the perfect house while shopping but if the neighborhood where the home is located does not fit your lifestyle needs you may end up regretting the purchase. For instance a neighborhood where more than 80% of the residents are empty nesters may not make great sense for a young family with multiple kids and pets. Not only will your children get bored not having any neighborhood children to go and play with the other neighbors might not be as appreciative of playful kids and pets and the noise that can come with their activities. Other neighborhood issues to look at include what is in and around the neighborhood. Does the neighborhood run close to a farm? Is there a factory close by? Are there any bodies of water close to the neighborhood? Those features of a neighborhood can mean strong animal smells from farms, mold allergies due to the close by water, your pets who love the water wanting to swim every time they walk by the lake or factory noise and pollution. By not researching the neighborhood ahead of time the home you buy could be a big failure filled with regret, so make sure you thoroughly research the neighborhood you want to move into. Buying a home is an emotional process. That does not mean buyers should leave all logic at the door when they enter a home for the first time. Instead buyers should take their time and visit the home at least twice and on different days each time in order to view the same home with different perspectives so they can look again at things they may have missed the first time around. Buyers also need to understand that there are many unique homes out there and that falling in love with a home before an offer has been made, before a home inspection has been done and even before anything is signed on the closing table things can change. Take a step back and first look over the home from a non-emotional perspective. Does a particular home, the home’s neighborhood, and location meet your needs? If it meets all of those needs then there are still other hurdles to pass before you can truly call that home yours. The home must pass inspection, must meet the appraisal, your finances must be rechecked by your lender, and the home’s title needs to be clear. By understanding all that is involved in a home purchase you can reduce the emotional impact that comes into play when buying your home. A home inspection is usually considered a must whenever buying a home. Sometimes buyers may opt to forgo a home inspection because visually the home looks alright or because in a multiple bidder situation the buyer wants to make their offer look better by opting to forgo a home inspection. Problems can pop up for the buyers after they move into the home and discover the seller conveniently cleaned up and tried to repair a basement water leak but the repair was less than professional. Or maybe the home looked good appearance wise but a trained home inspector would have noted settlement cracks in some parts of the exterior of the home and would have suggested a second opinion on the foundation. Even new construction homes can benefit from a home inspection by catching things the builder’s contractors may have missed when building your home. Home inspectors go through every part of the house checking to make sure things are in order. Not only is a home inspection good before moving into a new construction home it is also good to have the home inspector come back in the 11th month of living in the home and to re-inspect the home. Many home builders provide a one year home warranty and by having a home inspector look over your home during the 11th month you have a list of any issues that need to be addressed by your builder in hand. The home inspection fee can be more than offset by the cost savings of having the builder make repairs and/or adjustments under their home warranty than by having the owner make the repairs out of their own pocket after the warranty is over. Don’t forgo a home inspection whether it is for a new house or for an already built home. Major home systems like foundations, HVACs, roofing, interior structures can costs thousands of dollars to repair or replace. The small fee charged for a home inspection is a great savings as compared to having to deal with repairs costing thousands. By not working with a Realtor buyers set themselves up to fail in their home purchase since a Realtor is a type of coordinator for all the behind the scenes activities that go on when buying a home. Realtors arrange home showing appointments, connect buyers with reputable mortgage lenders, explain the inspection process and work with buyers to negotiate terms of a house purchase. By not working with a Realtor you may find yourself having to work with the seller’s agent who can take on the role of a dual agent which means they will try to represent both the buyer and seller. Many states allow Realtors to represent both the buyer and seller at the same time but then restrict the Realtors ability to fully represent each side and instead must be neutral and usually treat both clients in a hands off manner. Alternatively the Realtor can just represent the seller and you as the buyer are left unrepresented. If the Realtor only represents the seller in the transaction that means you as the buyer do not have anyone looking after your best interests or working towards getting the home closed which can be a challenging process. A more difficult situation is where both the buyer and the seller do not work with a Realtor because they feel they can handle it themselves. Real estate sales involve plenty of emotions and transaction related activities that must be handled and done at the right time. Often times the real estate contract contains time lines that if missed can leave a buyer stuck with no recourse but to buy the home regardless of its condition or its true price. In other words if the buyer misses the inspection deadline after having found an issue they may still be stuck with buying the home or worse be sued for failing to stick to the terms of the contract. By working with a professional real estate agent who is familiar with the process you work with someone who is familiar with the process and is working towards buying a home with you. Buying a home is complicated process that requires a long term commitment to a particular piece of real estate along with a long term financial commitment. Miss some of the critical areas as noted above and your experience will be a bad one. On the other hand by learning about the above pitfalls and avoiding them the experience can be more positive and successful. About the author: The above article “Common Ways Buyers Fail In Their Quest To Purchase A Home” was provided by Paul Sian. Paul can be reached at paul@CinciNKYRealEstate.com or by phone at 513-560-8002. WIf you’re thinking of selling or buying your investment or commercial business property I would love to share my marketing knowledge and expertise to help you. Contact me today! I service the following Greater Cincinnati, OH and Northern KY areas: Alexandria, Amberly, Amelia, Anderson Township, Cincinnati, Batavia, Blue Ash, Covington, Edgewood, Florence, Fort Mitchell, Fort Thomas, Hebron, Hyde Park, Indian Hill, Kenwood, Madeira, Mariemont, Milford, Montgomery, Mt. Washington, Newport, Newtown, Norwood, Taylor Mill, Terrace Park, Union Township, and Villa Hills.